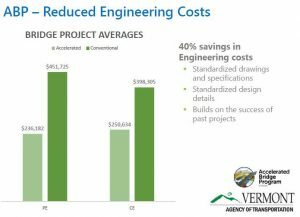 Description: How can a predominately rural state move from conventional bridge construction to a fully-functional Accelerated Bridge Program (ABP) within a few years? Why would doing so be a priority? 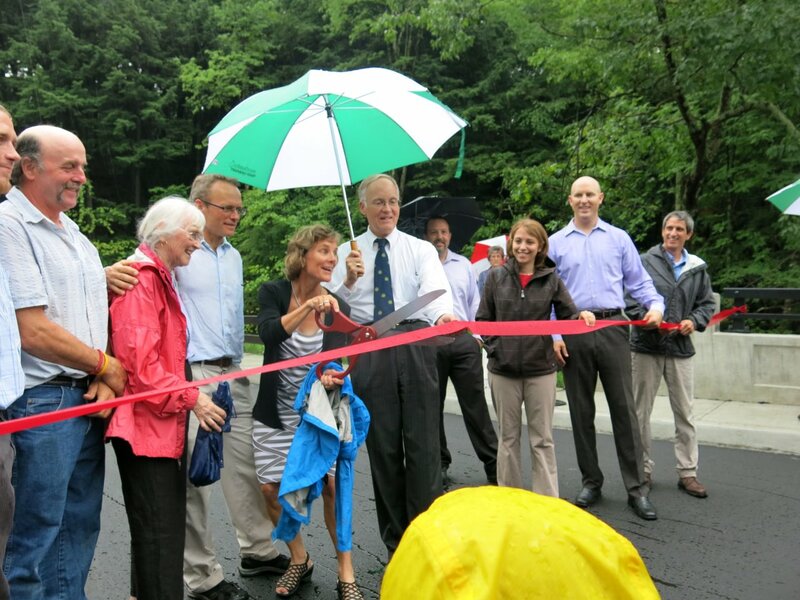 Increased bridge funding, an aging bridge inventory, Tropical Storm Irene, and legacy projects all played a part to initiate this change. 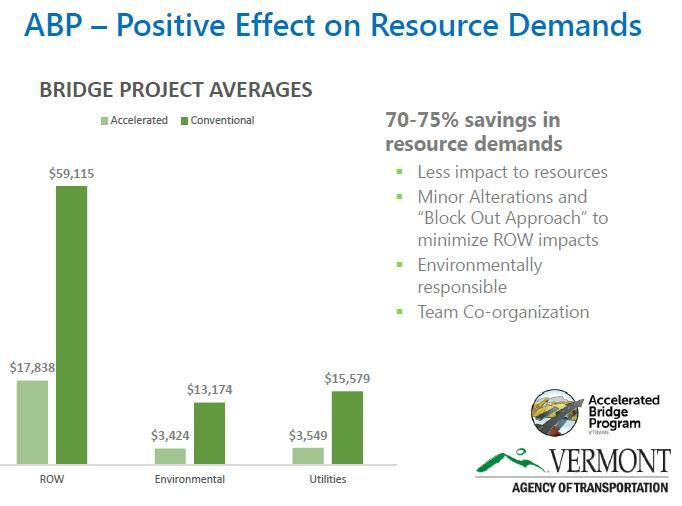 Leadership from the Vermont Agency of Transportation (VTrans) ABP and its Project Initiation & Innovation Team (PIIT) discuss these catalysts plus much more in this presentation. Key strategies to implementing a programmatic approach to ABC will be discussed as well as lessons learned. An example ABC project from planning through technical design and construction details will describe how the program now works. The presentation will culminate with the overall value of ABC. Wayne Symonds, P.E., is the Structures and Hydraulics Program Manager for the Vermont Agency of Transportation (VTrans). 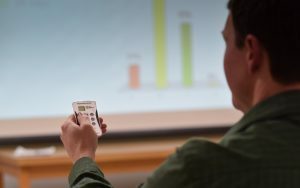 He graduated from the University of Vermont with a BS in Civil Engineering and is a Professional Engineer in Vermont. He has worked for VTrans for 24 years in design, project management and construction of highway bridges. 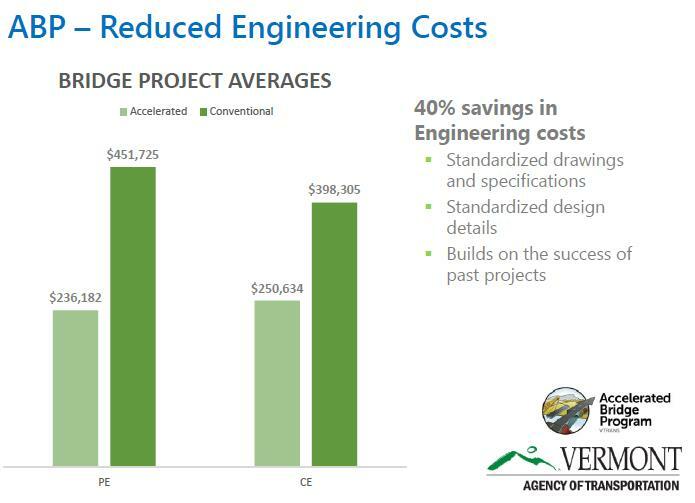 Prior to becoming the Program Manager, Wayne was focused on expediting the delivery of bridge projects by implementing Design-Build Contracting and creating the Accelerated Bridge Program at VTrans. He has been a member of the AASHTO Subcommittee on Bridges and Structures for 10 years and is currently the Vice-Chair of T-4 Construction. Kristin Higgins, P.E., is the senior project manager leading the Accelerated Bridge Program (ABP) for the Structures Section of VTrans. Kristin earned a B.S. degree in Architectural Engineer from Vermont Technical College in 1996. Following graduation, Kristin worked for 10 years as a bridge design engineer in the Structures Section at VTrans. In 2006, Kristin was promoted to project manager leading an in-house design team for six years before taking the leadership post within the Accelerated Bridge Program in 2012. Kristin specializes in efficient project delivery and has successfully managed over 30 bridge replacement and rehabilitation projects including Vermont’s first lateral slide (Slide-In Bridge Construction) project completed in 2015. Jennifer M. V. Fitch, P.E., is a project manager for the Accelerated Bridge Program (ABP) for the Structures Section of VTrans. Jennifer earned a B.S. degree in Civil Engineer from the University of Vermont. Following graduation, Jennifer worked for a private environmental engineering company responsible for construction oversight for a superfund site as well as environmental site assessments and monitoring. She joined VTrans in the fall of 2005 performing research support tasks for the Materials and Research Section and managed the Agency’s research program from 2007 through 2011. 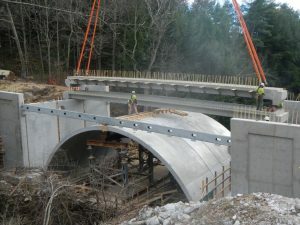 Jennifer subsequently accepted a position in the ABP, a program dedicated to expediting the delivery of bridge and culvert projects through accelerated bridge construction methods using prefabricated bridge elements and systems and short term road closures. 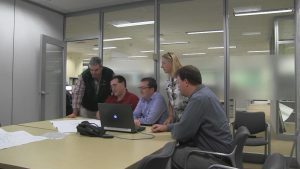 Jennifer also leads the Project Initiation and Innovation Team (PIIT), a group of engineers and technicians dedicated to the project definition phase. Jennifer specializes in public engagement and outreach as well as heightened coordination and collaboration between programs and resource groups.